Tag Archive | "higher potential healthcare costs"
Many people will retire in Ecuador for healthcare reasons. A huge demographic retirement problem looms. Population and economic numbers will drive many boomers to retire in Ecuador or other low cost countries like Ecuador where they can afford the healthcare. The first boomers turned 60 years old in 2006. Now about 4 million more reach that age every year for the next 18 years. This boom of retirees will swamp the retirement and healthcare systems that our parents enjoyed. This means that those who want to retire need new strategies. One strategy is to retire in Ecuador or at least some country where healthcare may be more dependable and affordable. 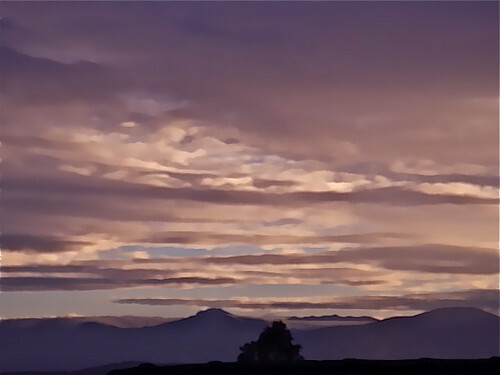 One reason people retire in Ecuador is the scenic beauty. This is a view from our hotel Meson de las Flores. The demographic distortions are increased because boomers have a better chance of a long life than their forefathers. Improvements in healthcare extend the expected average lifespan of boomers to 22.5 years. Yet this healthcare is becoming so expensive, it is out of the reach of many. A longer life expectancy means higher potential healthcare costs. Medicare and private insurance are becoming more expensive. Fewer employers will be able to continue giving healthcare benefits to retirees. More and more people will be forced to finance their own healthcare. This retirement healthcare can be so expensive, one illness can destroy a lifetime of savings. Health care in Ecuador is less expensive in part because of lower real estate costs. 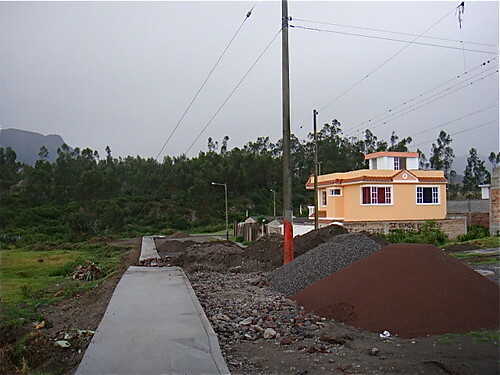 Very nice houses like this built on the small river in Cotacachi are less than $90,000. Health benefits for retirees are a relic of the past. Fewer than a third of current workers have any employer subsidy for retiree health insurance, according to the Employee Benefit Research Institute. A new analysis by the nonpartisan EBRI puts the number for a couple currently age 65 at a staggeringly high $635,000, and that doesn’t include long-term-care costs. EBRI also calculated that a 65-year-old single man will need $331,000 and a single woman $390,000 to be almost completely certain of covering all out-of-pocket retiree health costs. The article (see a link to the full article below) explains that this amount was up from a previous estimate of $225,000 needed to cover healthcare costs in retirement. My experience is that those who retire in Ecuador find their medical, dental and pharmaceutical costs run about 20% to 25% of those in the US. Plus there are many free health care benefits for Ecuador retirees. See Ecuador Retirement and Healthcare. 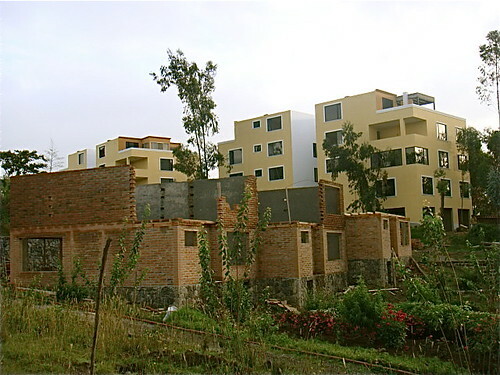 These new condos being built at Primavera provide low cost homes ($75,000) for those who retire in Ecuador. Many will also retire in Ecuador for better healthcare care. One Ecuador retirement healthcare concern goes beyond the cost. Ecuador retirees want the care. Many people do not like the way Western healthcare has evolved. They will not use the traditional healthcare system even if they can afford it. A reader just sent me this note…not about Ecuador retirement… but about a benefit of overseas healthcare for those who are retired. Hi Gary, This is your expat friend in Manila. You are so correct about US medical care. I couldn’t help but feel the US health care system failed my retired dad miserably. The feeling I had was that hospitals try to avoid patient care liabilities. My dad had also purchased a term care policy, which could not be utilized until 90 days of documented out of pocket expenses. Same feeling, you call the insurer, and you are referred to their legal department. Dad had always said socialized medicine was a bad idea, so our entire family followed. But after this first hand experience of critically needing US medical care for an elderly, very loving dad, who this time around – needed help. Dad risked his life in the Philippines to serve our country, as a photo-reconnaissance pilot, in WWII. He deserved better than that! I feel like I am in much better hands here in Manila, the nursing capitol of the world. If I were in my dad’s situation I would get dedicated care from loving caring human beings, just like in Ecuador. Dentistry is the same here too. Cheers! The Catholic cathedral next to Meson at sunrise. The church helps with healthcare. One US healthcare problem is that the great emphasis on specialization and insured medicine has depersonalized the care. Liability concerns have further blocked the doctor patient connection. The system seems uncaring… too systematic… too numbers oriented and too lacking in compassion. This is not the situation in many other countries including Ecuador where the health care is not only inexpensive but very caring. Here for example are some sorts of an Ecuador retirement nursing home where the doctor and nurses even dance with the retired residents. See more on this at Retire in Ecuador & Nursing Homes. The onrush of boomer retirees will place a strain on the US healthcare sstem, push up the price and reduce the care. Many will retire in Ecuador or other countries for lower costs and more care. I am doing a Retire in Ecuador questions and answers so send your questions about Ecuador and retirement. Join us at our North Carolina farm this July or October for our International business & investing seminars below. 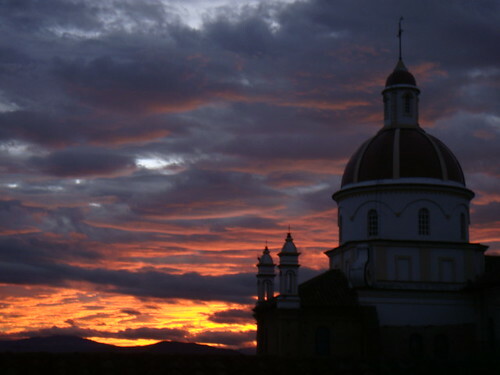 Learn more about early retirement and Ecuador.